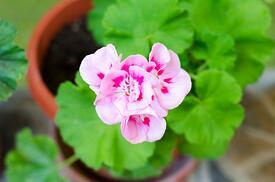 In this newsletter, you’ll find essential oil blends for skincare. 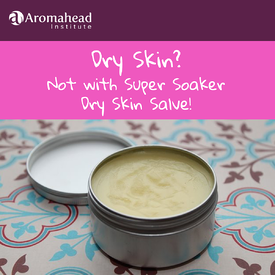 Do you have a favorite way to care for your skin? Eating good food and drinking plenty of water are a great place to start. (Our skin loves water!) It’s also helpful to keep it protected during harsh weather (like strong sun or cold wind), and to use all natural skin care products to keep your skin hydrated and nourished. Products that you make with essential oils can take it a few steps further, helping skin rejuvenate and heal itself, and even supporting overall health and immunity. The skin is the largest organ on the body. In this month’s newsletter, I’ll share some recipes and essential oil information for caring for it naturally. I hope you have fun making these recipes! This is a moisturizing oil you can use daily to keep your skin nourished. All three essential oils are gentle and supportive, helping skin heal. Jojoba is a beautiful carrier for a daily moisturizing oil! Did you know that it’s actually a liquid wax (not an oil), and that chemically, it resembles the natural oils our skin produces? Jojoba also doesn’t have a strong aroma of its own, so the scents of the essential oils you add will shine through. Make this blend in a 1 oz (30 ml) glass bottle. Use it to moisturize as needed! 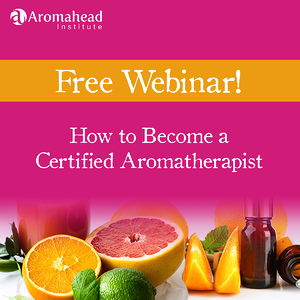 Our Aromatherapy World: How to Become a Certified Aromatherapist! Do you dream of sharing your passion for essential oils with others in a bigger way? Are you curious about what it would take to truly master your craft…and possibly even turn it into a fun + profitable business? 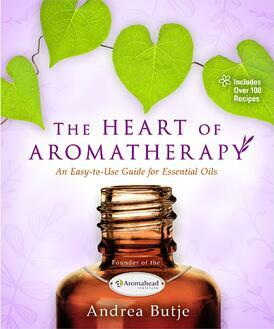 Exciting Announcement: The Heart of Aromatherapy eBook is on sale! Hay House just let me know that my eBook, The Heart of Aromatherapy, is on sale for only $1.99! Forty essential oils’ unique properties come to life in this guide to safe and effective aromatherapy! Full of essential practical information (Latin name, aroma, uses, and safety tips) as well as “personality” profiles expressing the core physical, spiritual, and emotional supportive capabilities, this go-to guide is easy to reference and enjoyable to read. Over 100 recipes are provided for boosting skin care, rest and relaxation, respiratory, digestion, pain relief, meditation and contemplation, and natural cleaning, and kid-friendly adjustments accompany each recipe. Both budding and experienced aromatherapists alike will be able to create personalized essential oil blends for happy, healthy bodies, minds, spirits, and homes. Balsam Copaiba is often mistaken for a conifer, but it’s actually a tropical plant that grows in Brazil. It doesn’t have needles or cones, but it does produce a rich resin that the native people use to distill a warm, skin-loving oil. 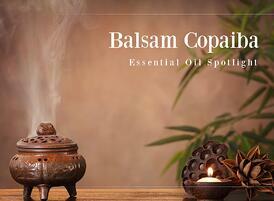 Balsam Copaiba has more in common with resins like Frankincense than with conifers like Black Spruce! If you work with a team, you might really enjoy trying out Slack! Slack is a website and app that helps you communicate easily with your team about anything and everything. It’s like email, a chatroom, Dropbox, and a social media network for business teams, all rolled into one. The Aromahead team and I use Slack every day, and I can’t say enough how much we enjoy it! One thing I like about Slack is that you can set up different “channels,” which are like chatrooms. You can have a channel between you and your marketing director, you and your entire team, or a channel dedicated to a specific project, inviting only those who need to know about it. It is so easy to switch back and forth to look at different channels and threads of conversation. This is a useful feature, especially if you’re involved in multiple projects at once. Have you considered using a soap-free cleanser on your face? If so, I have the perfect DIY cleansing recipe for you! This beautiful, non-drying argan oil and aloe vera natural face wash is easy to make at home. 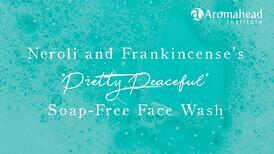 The essential oils in this facial cleanser have so many beneficial properties. Neroli oil is made from citrus blossoms, and it’s a very light oil. Frankincense oil brings in a really grounded feeling to the aroma. Both of these oils are nourishing, healing and cooling - perfect if your skin is red, hot or inflamed. Caring for our skin goes more than “skin deep.” Yes, it can help us look more beautiful, but it also helps us feel healthier. I hope these recipes nourish your overall well-being!